The Transatlantic Trade and Investment Partnership (TTIP) is vastly ambitious in its scope. It seeks to reduce or eliminate the existing trade barriers between the US and the EU common market. In doing so, its supporters argue that it will create over €100 billion (a GDP increase of about 0.5 – 1 percent) worth of new business on both sides of the Atlantic. How? By harmonising things such as product standards, labour conditions, the laws governing the provision of public utilities and the method by which trade disputes are resolved etc. In general, trade between different countries is impeded primarily by tariffs (also referred as customs duties or import taxes). However, the tariffs for most goods traded between the EU common market and the US are already very low. As a result, regulatory convergence is one of the few remaining avenues available to increase trade between the two economies. Negotiations on the TTIP started in July 2013 and as they have progressed, opposition to the agreement has grown in parallel. The recent resumption of TTIP talks in New York sparked numerous protests – over 200 in Germany alone and some 750 worldwide. Yet this is nothing new. Heavy opposition to the planned agreement was the reason talks stalled in the first place. Moreover, as of the time of this writing, the European citizens’ initiative against the TTIP has already gathered 1.7 million signatures. According to some, the movement might even have sufficient momentum to reach 2 – 3 million before October 2015, when the call for signatures officially closes. The nature of the objections to the TTIP differ between the US and the EU. 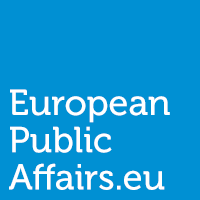 Europeans are generally concerned about the impact which the agreement will have on public services (especially healthcare), consumer protection (e.g. food, health and safety standards) and labour conditions. In the US, the main objections to the TTIP are that it will lead to more lax financial regulation, make it easier for European firms to obtain lucrative public procurement contracts and limit the advantages which the US currently enjoys due to its cheap and abundant domestic energy supply. There are three main components to the TTIP: 1) market access provisions, 2) a revised set of import/export rules and 3) regulatory cooperation/convergence. As the name implies, the first component is intended to make exports more attractive by reducing the prohibitively high tariffs which still exist for a limited number of goods, effectively preventing their trade. For example, the US applies a tariff of 350 and 140 per cent to European raw tobacco and peanuts respectively. Such exceedingly high duties are the result of intensive lobbying in Washington coupled with the US’s traditionally protectionist stance toward certain industries. In other cases, there is a slight but nonetheless competition-hindering mismatch between tariffs for the same products. For example, European cars sold in the US incur a duty of 2.5 per cent whereas US cars sold in Europe have 10 per cent premium added to the purchase price. Nonetheless, tariff reduction remains the least objectionable aspect of the TTIP overall. Second, the revised import/export rules will include measures to protect competition, improve conditions for small and medium-sized enterprises which depend on overseas markets and promote sustainable development, among other things. The introduction of these rules will also see the creation of new dispute resolution mechanisms (often referred to as ISDS) – both for conflicts between governments and between investors and the state. In fact, this has become one of the TTIPs most controversial features. Many of the deal’s (European) detractors see the ISDS as a way for corporations to circumvent national laws and trample over citizens’ rights. A 2014 EU public consultation held on the matter attracted over 150,000 responses – the greatest amount for any consultation to date. On the US side, certain political action groups have also opposed the creation of an ISDS, claiming that it was an affront to democracy and a danger to law-making in the public interest. However, it’s not often mentioned that the overwhelmingly negative feedback (88 percent came out against) prompted the European Commission to change its initial proposal. Now, its plan for the creation of an ISDS accords primacy to national lawmakers (citing their indelible right to regulate in the public interest) and establishes an appellate procedure for all decisions. It’s also worth noting that such a dispute settlement mechanism will also safeguard the rights of European investors in the US – in other words, it’s a two-way street. The third and most important component of TTIP is regulatory convergence or ‘harmonisation’ as it’s sometimes euphemistically referred to. Essentially, this means bringing US and EU laws in line with each other in order to reduce or eliminate non-tariff barriers. The problem with regulatory convergence is that the laws which are being ‘harmonized’ often represent the established preferences of the people. Take the example of food safety and quality. In Europe, this has been a matter of public interest at least since the use of GMOs became widespread in the early 90s. In the US, this issue only entered the public consciousness much later. This is why Europe’s current laws reflect the desire of its citizens not to be exposed to foods which have been modified or prepared in certain ways. While some laws are certainly innocuous and can be altered without much public outcry (e.g. those defining the minimum size of a certain vegetable or fruit which can be sold on the European market), it’s simple to understand why changing others can seem like an incursion on national sovereignty. At its heart, the TTIP controversy is nothing more than a clash of cultures. We can draw a valuable lesson from this realization: There does in fact seem to be a body of common ‘European’ values which EU citizens feel strongly about. This bodes well for the EU’s future although it could also be seen as little more than a case of ‘the enemy of my enemy is my friend’. Either way, the implications are clear: the provisions of the TTIP which are controversial due to cultural differences between the EU and the US should be removed. They will never be palatable to European citizens and will only serve to obstruct a deal that has the potential to bring real economic benefits to millions of people. PreviousWhat is ITS and how it will change the way you move?